Beautiful work from Redditor navidj. You can buy the patterns at SpaceNavid's Etsy store. 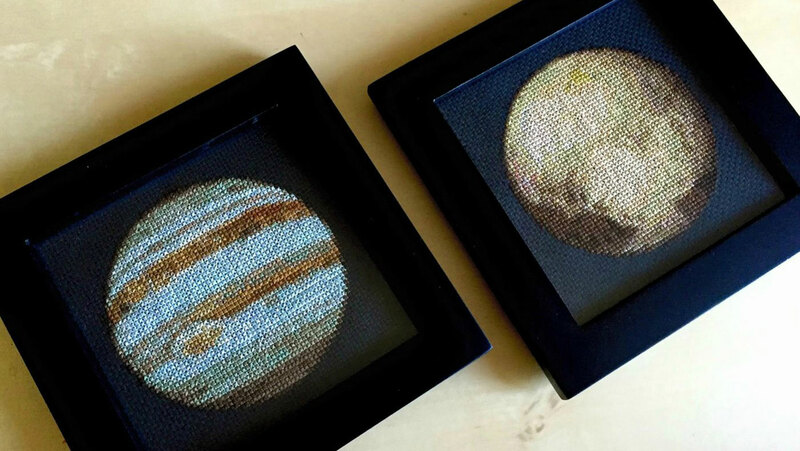 Pluto uses 35 colors, Neptune uses 24, and Jupiter 20. The materials are very affordable. Each thread costs around 40 cents or so. The black Aida cloth is about $5 for a roll and you can make at least 4 planets at this size with that. Linda at Eponases creates all kinds of cool cross-stich projects, but this massive piece of Pokemon characters is out of this world.